Electric site camping fee is $200 plus the purchase of a season ticket. For those who camped at an electric site at the fairgrounds during the 2018 Fair and would like to do so again, the $200 camping fee (check or money order to Fulton County Fair Board) must be received by Noon on June 1, 2019. Please send to Jamie Buehrer | 12060 County Rd. L | Wauseon, OH 43567. No one is guaranteed the same spot, but we will do what we can to meet your request. We are also not responsible for delay mail delivery. There will be an additional fee of $20 per day for those who wish to bring their camper in before Monday, August 26. Waiting list for Fair Camping (non-primitive) – we will no longer be taking phone calls, please see information above. If you’d like to have your same spot, please let him know by June 1 in writing when you pay your fee and we will do our best to accommodate you. PRIMITIVE CAMPING – For those who are interested in camping at the Fair in the Primitive Area (back by the woods), the deadline for payment is Friday, August 16. The cost is $100. Space is limited. First-come, first-serve basis. Please send money order or check made out to Fulton County Fair to the director in charge: Jamie Buehrer – 12060 County Rd., L, Wauseon, Ohio 43567. 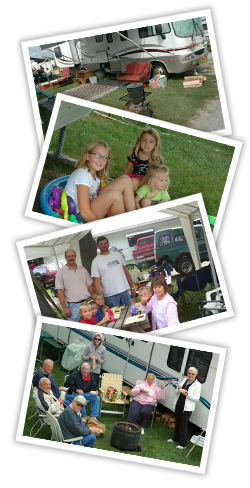 If you are interested in camping at the fairgrounds other than during the fair, additional information is available under Year Round RV Camping.